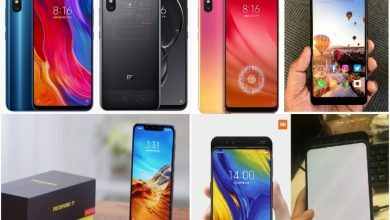 The Xiaomi Mi 8 and its smaller variant, the Mi 8 SE are good models and will become a bestseller, undoubtedly. But there was another version caught our eyes immediately. The Xiaomi Mi 8 Explorer Edition comes with outstanding features including the pressure-sensitive screen fingerprint identification, structured light face recognition (Face ID), and a transparent back cover. 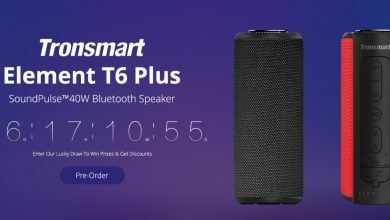 Before we start getting acquainted with the key features, you should know it is available for pre-order at a price tag of $629.99. Agree it’s an amazing offer if taking into account it comes with a quite powerful hardware, excellent look, and innovative technologies. The Xiaomi Mi 8 Explore Edition is the world’s first pressure-sensitive screen fingerprint phone. According to Xiaomi’s official introduction, compared with ordinary on-screen fingerprint phones, this one comes with a highly sensitive pressure sensor. The main advantage of this technology is that it doesn’t require a strong pressure on the screen to ‘take’ the fingerprint. As you should know, prior to this, the VIVO X21 and Huawei Mate RS Porsche Design have been considered to be the only phones with an on-screen fingerprint identification. Both are using the Huiding Technology solution. As for the Xiaomi Mi 8 Explorer Edition, its fingerprint solution uses a new generation of a performance-enhanced version of the FS9500 Clear ID optical screen fingerprint sensor from Synaptics. It can be placed in the OLED touchscreen without affecting the overall screen design. At the same time, the recognition speed is faster than other biometric technologies. The Clear ID also uses Synaptics SentryPoint technology to provide a wide range of unique, highly secure authentication features, including Quantum Matcher technology that supports adaptive fingerprint template matching, authentication, and wireless security performance updates. 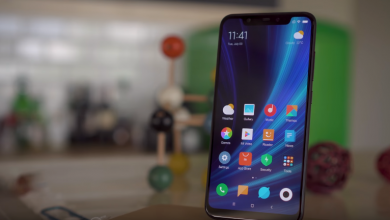 In addition, the Xiaomi Mi 8 Explorer Edition is the first Android phone to support ‘Face ID.’ Unlike the iPhone’s speckle-structured light solution, it uses a coded structured light scheme to create a millimeter-scale 3D facial model from the 33,000 coded lattices projected by the dot-matrix projector. Thanks to the abovementioned functions, the Xiaomi Mi 8 Explorer Edition has an interesting small function called ‘Mi Meng’, which can capture up to 52 facial muscle movements and generate different animated expressions. The back of the camera area is completely transparent. So you can see the internal structure of the phone: a newly designed NFC coil, a Kevlar-textured battery, and decorated in various places. Embellished with high-precision components and symbols, the parts originally hidden in the mobile phone show the beauty of science and technology. As for the screen and hardware, the Xiaomi Mi 8 Explorer Edition sports a 6.21-inch Samsung AMOLED screen with 2248 x 1080 resolution, a 402ppi pixel density, a brightness of 600nit, a 60000:1 contrast ratio and supports AOD Extinguishing technology as well as Eye protection mode. Under the hood, the phone carries a Qualcomm Snapdragon 845 processor clocked at 2.8GHz paired with an Adreno 630 GPU with a frequency of 710MHz. The handset also gets 8GB of LPDDR4x RAM along with 128GB of UFS2.1 storage. It is packed with a 3000mAh battery supporting QC4.0+. Like the original Mi 8, it sports a 12MP+12MP dual-camera that uses a Sony IMX363 sensor with 4-axis optical image stabilization and f/1.8 aperture and a 12MP telephoto f/2.4 lens mainly used for portraits. There are also 7 kinds of AI studio lighting effects. On the front, it carries a 20MP selfie shooter with a f/2.0 aperture, 1.8um pixels, AI portrait mode and AI beautify. The Xiaomi Mi 8 Explorer Edition is the world’s first dual-frequency dual GPS phone. To solve all the problems related to the GPS positioning and navigation errors, the Mi 8 EE supports L1+L5 dual-frequency dual-precision positioning. Generally, there are two factors affecting the accurate positioning – the ionosphere delay (1) and the reflection of buildings (2). Our protagonist uses the L1+L5 dual-frequency dual-channel positioning, which can effectively correct the ionosphere delay. At the same time, the error of L1 band is 300 meters, while it is 30 meters for the L5. The latter is 10 times more accurate than L1, which effectively solves the reflection interference of urban buildings. The Xiaomi Mi 8 Explorer Edition supports two nano-SIM cards and dual-card VoLTE HD voice 2. Thanks to the LTE B41 4 antenna technology the phone also supports 4×4 MIMO. [11.11 Coupon Rain] HUAWEI Nova 3 4G Phablet Black Version Is On Sale NOW!